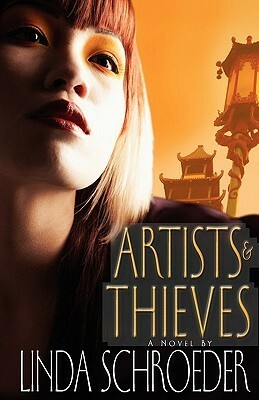 Today I have a guest post about Sherlocking from Linda Schroeder, author of Artists & Thieves. Are you watching the new Sherlock Holmes, the one with Sherlock in rehab and Watson as a woman? It’s different. But no matter how current authors tweak the classic character, Sherlock remains the epitome of keen observation. When I started writing Artists & Thieves I knew a great deal about observing language. My first Master’s degree was in English, my second was related to language disorders. I’d read literature biggies and dissected how they did what they did with language. I worked with children who had difficulty using ordinary language and I had to pinpoint what was missing. In both cases, I learned to observe. So when I wrote Artists & Thieves, adding details to a scene to put the reader “there” was easier for me than adding tension or conflict to a scene. I’m always on the lookout for details. I don’t record them in a notebook but they pop into my head as I’m writing. Observation is a writer’s necessity as much as it is a detective’s. For me, plotting and character development require a lot of rewriting. That is a long and tedious process. But I can Sherlock descriptive details quickly. And that’s the fun of writing.